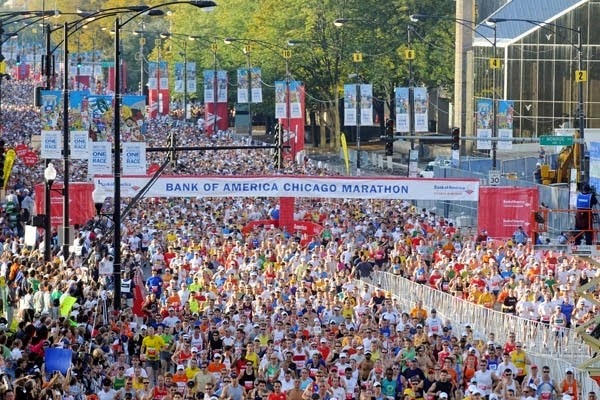 10 days to go until the Chicago Marathon. I've done the work and I am ready. Physically for sure. Mentally--well, I'm still working on that. No matter how much preparation I do for an event, I still get anxious and self-doubt starts to creep in. I've been working really hard on shutting it out this time. This morning was my last speed work sessions, mile repeats x4. I didn't think I could match the speed of last week's session, but I was determined to try. I told myself that if I could do it again, there is absolutely no reason for me to doubt myself. Why do I push myself like this? As we all know, I've run the marathon before, and finishing should have been enough, right? When I tell people why I'm running it again, to run the kind of race that I know I'm capable of, all I get are blank stares. Of course, these are non-runners I'm talking to, but still. I compare this a lot to something I did as a child and young adult...play the piano. I was a very musical child, and took piano lessons for 10 years. I loved playing and practiced my pieces for hours, working on perfecting them and memorizing them. When I was in junior high and high school, I competed in the musical competitions, always taking a blue ribbon home for playing my pieces. I also accompanied the choruses and played with the jazz band. It was something I loved and something I was good at. It was also very important to do my best because really, there is nothing worse than listening to someone stumble through a musical performance. I used to play for my grandparents, and my grandfather would never tell me I did well. He did point out my mistakes to me, saying that I shouldn't play for him if I was going to make mistakes. As I got older, that really used to bother me, since he didn't play the piano. But he was the only person to criticize me. Playing the piano (and the oboe and the bassoon!) was my thing. That was what I did well. So why did his criticism carry so much weight? I'll tell you what it did do for me...it rocked my self confidence. I started getting increasingly nervous for performances. Even when I was accompanying the chorus, I was so conscious of my performance. I was so worried people would pick out my mistakes. My fingers would sweat and slide on the keys. When I look back on this, I wish I had realized that I wasn't focus of 99% of the audience, and that no one was paying attention to whether or not I was making a mistake. This lack of self confidence also affected me in other areas of my life, which I have mostly resolved. But to this day, I have yet to not be anxious on race day. I am SO much better than I used to be. I've run enough races to feel comfortable in the routine and rhythm of the day. I've met a group of ladies that I meet at some of my races and that helps me shake off the nerves like nothing I've done before. The fact that I've been running for 25 years also gives me comfort, because once I start running, my body and mind just click into autopilot. I get excited at the starting line. If I listen to my music, well, there's comfort in that too, because I've trained with all those tunes. And I know that everyone gets a little pre-race jitters--that's what makes us perform well because it shows we care about how we do. Here's what I can't control: the weather. the crowd. the noise. the energy. my family. I can control my pace. 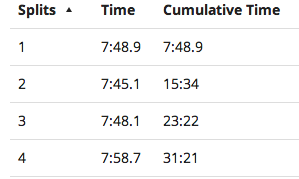 While running my long runs, my goal was to have even splits the entire time. I did that very well. I used my Garmin to monitor my pacing and I also kept tabs on how I felt. I don't have a lot of control on what's going on inside my body. After having lots of GI issues early in my training, I switched my fuel to Tailwind, which seemed to work really well for me. That will be my only fuel and I'll have to carry a bottle on the course. I'd rather do that than stress about my tummy. I'm also really watching what I eat over the next 10 days. It's the best I can do! Staying relaxed will help me feel in control. It sounds simple but for example, I woke up this morning clenching my muscles. Do you ever wake up clenching your muscles? Ugh. When I ran this morning, I had to remind myself to stop clenching, and I'd actually shake out my hands. It really, really helps. I will do this if I have to and as often as I need to. Use mantras and positive self talk. I've been doing this all along, but after all the stress life threw at me this week, I had to really pull myself out of the dark hole! Yesterday I was feeling better, and at work I hung up 2 signs. Corny? Cheesy? Hey, works for me, so don't knock it! And don't even listen to my playlist, then...it's full of songs with positive and motivating messages but certainly not critically acclaimed music. I like to call them guilty pleasures. I'm sharing it with you here, in case you want to raid it for your own use. But please don't judge me based on my selection. I do listen to other music too. Some of the songs obviously are just fun to run to. They're all familiar to me and that's important too. And while I'm running, thinking positive thoughts would be good. "I feel strong" or "I got this", sound way better than "I'm so tired" or "I can't do this". Smiling helps! Seriously! The encouragement of spectators always puts a smile on my face and lightens my step. Channel your nerves with mental imagery. Instead of focusing on how tired I feel or if I'm not running at the pace I want to run at, I plan on reminding myself of how hard I worked to prepare and how I pushed myself through hard workouts-both running (for example, my speedwork today) and Crossfit. All that stuff Becky had me do was not only physically hard but mentally challenging as well. It would have been so easy to quit, to walk, to give up. But where would that get me? So I need to dig deep when it gets tough and think back to those tough workouts (those intervals with the rower will be a good image for me!) No negative self talk allowed. Becky told me for every negative thought or statement, I'd have to do 10 burpees. Who wants to do that in the middle of a race course? Just seeing the race course is helpful too. There are a ton of videos on youtube of the Chicago marathon course. I couldn't find one for this year (Nike usually puts out a time lapsed one, which is fun to watch) but this recap from the 2013 marathon is a good one. So my originals goals for this marathon were to finish better than my last disastrous marathon and strong enough to have a beer at the finish line (Goose Island 312!). My training has gone so well that I've refined my goals a bit. I have a time goal of 4:30. If all the stars are aligned and my head is in the right place, I can best that. I know I can meet that time goal. But no matter what happens, I want to know that I did my best. One final, but important goal I set is to enjoy the race. Running is a gift. Not everyone can do this, and only 0.1% of people have ever completed a marathon. I get to do my second marathon. And it was a gift--my entry fee paid for by my employer as a prize in an instagram contest. I was fortunate to be able to train with a coach this time around and had fun for my entire training. I didn't get injured during my training. I completed every workout and ran strong. I like your advice: "Control what you can control." There are so many things to worry about, so why not cut those down to the ones I can control? If it's 80+ degrees on marathon morning, I'll either flip on the A/C and head right back to bed or just run/walk it with a smile. If it's cooler, all the better to try and reach my PR, but if there is an external factor preventing me from my PR, at least I know I did my best. Your final point about enjoying yourself is the best one! I think we run better and have better memories after the race when we are smiling rather than grimacing and trying to kill ourselves out there. Let's go! 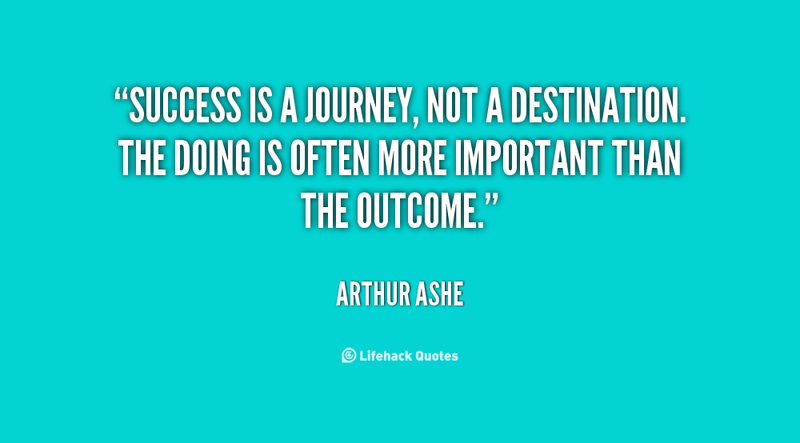 I think we get so focused on our goals that we forget to enjoy the event! That's what happened to me last time, I got caught up in my misery and didn't take in the whole spectacle that is Chicago! I like your playlist! I am so excited for you and can't wait to hear about it. Lots of us who could never do full marathons like to live vicariously through you. You're going to crush it! Best of luck to you, Wendy!! Thanks! I'm excited alternating with nervous. The next week will be tough to get through. I'm anxious for you as well! Wendy, thanks so much for sharing this; I love your suggestion to create flexible goals. 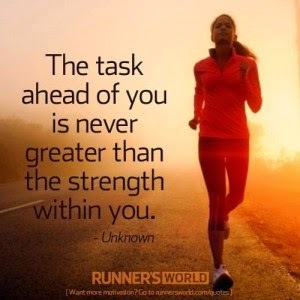 That is something that I've always had a difficult time with, but I can certainly see the merit and it will definitely benefit me as I get closer to my first marathon. Music helps direct my nerves sometimes but, like you, I have yet to run a race when I wasn't nervous, at least at the beginning. I'm so excited for you and I know you're going to do great; take care of yourself during these last days! Thanks Tara! 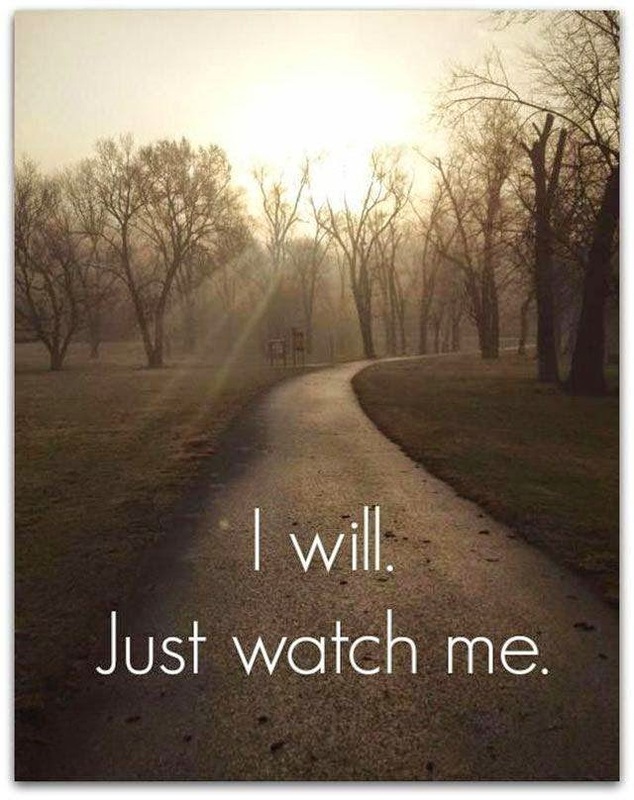 I'm looking forward to throwing encouragement your way as you get closer to the starting line! Those splits are unbelieveable! Great job, you are going to rock Chicago! 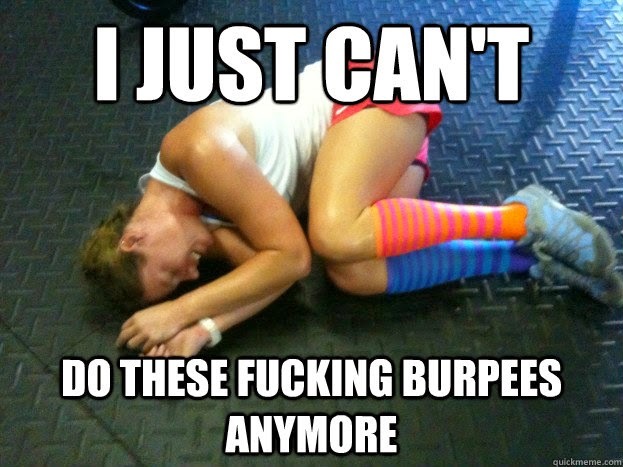 And I love that burpees photo...hilarious! Thanks! And really, who likes burpees? I just recently found your blog and I love this post. I let doubt get me too and I love "Control What You Can Control". It sounds like we have much in common (including age). I took piano lessons for 13-14 years and played the clarinet as well! Good luck at Chicago! You will be awesome. A marathon is on my agenda for 2015. I'm a new blogger so please check me out when you get a chance: hohoruns.blogspot.com. I will definitely continue to follow you. Thanks for reading and your comments! I will definitely follow you! 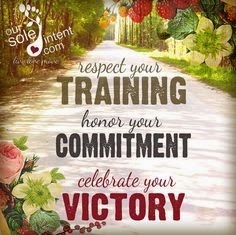 What are you training for? Anything? Or just enjoying running? I'm running a half Sunday. It is my 14th this year to achieve my goal of 14 in '14. I saw in a previous post that you waterski. I've slalomed all my life!! Not many do this anymore...a dying sport. Can't wait to read your post about Chicago. That's amazing--14 halfs this year! I have another friend who is doing that. And yes I still slalom! Every year it is a victory! My boys aren't interested--they like wakeboarding. I've tried that too. Marathon week 12-Ready to go!